Oh and that gorgeous shoot above? It’s from the Terranea Resort (more on them a bit later) captured by Brandon Kidd. Located in the heart of Koreatown, The Line Hotel is a vibrant hotel that captures the energy of the neighborhood and is every foodie’s dream. A collaboration with the street-food legend, Roy Choi, the hotel specializes in Korean hotpots, decadent butter-mochi cakes, and adventurous cocktails. Occupying a restored mid-century building – The Line Hotel features cool industrial-chic rooms with concrete-patterned wallpaper, funky art pieces and floor-to-ceiling windows with views of the Hollywood Hills and the Griffith Observatory. We love their greenhouse terrace – the movable glass walls allow you go from foyer to Gramercy Garden and to create an indoor + outdoor space. 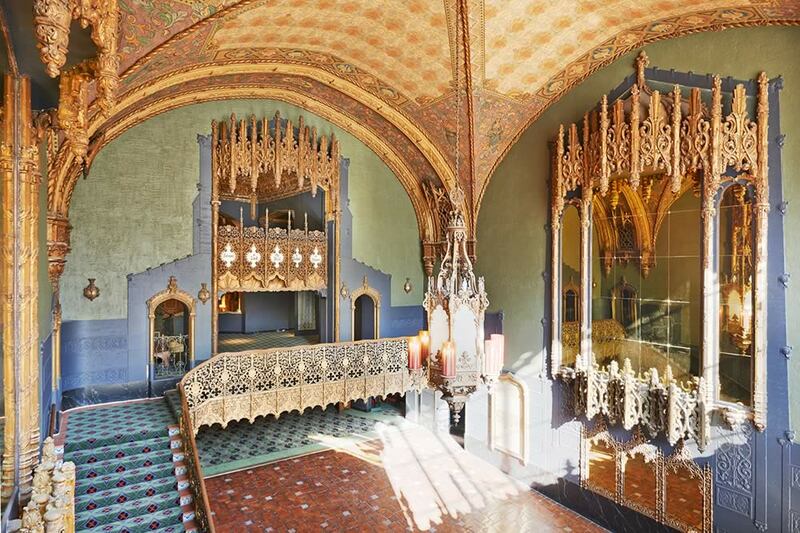 A remarkable gem from Hollywood’s Golden Age, the Ace Hotel is prime real-estate in Downtown LA. Decorated with Spanish spires and a wonderfully vintage theatre, the ornate building originally served as the United Artists Building (built in 1927). Imagine getting married in the space that Charlie Chaplin, Mary Pickford, Douglas Fairbanks and D.W. Griffith used to romp. We love this architectural wonder for how versatile its venue spaces are, the dazzling ceiling dome that glitters in the light… and for the marquee out front! The couple will literally see their names in lights on their special day. 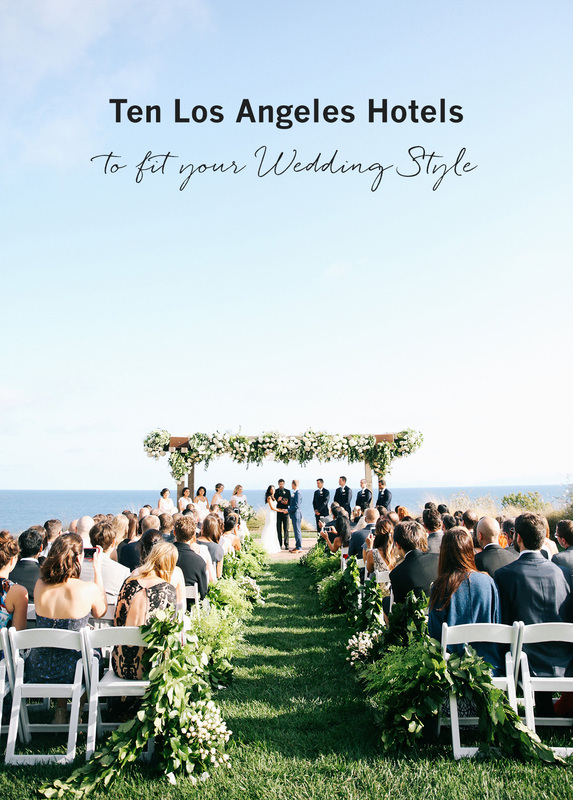 If you’re in the market for something to perfectly complement a glitzy and glamorous black tie wedding, London West Hollywood fits the bill. Home to the Sunset Strip, the area of West Hollywood merges the relaxed California vibes with modern elegance. The London’s coveted glass-encased rooftop offers beautiful views of the Los Angeles cityscape… We love this place because even though it’s located in a bustling area, you can remain calm and collected, above the vibrant nightlife below. A combination of modern meets Old Hollywood glamour, The Beverly Hills Hotel is an icon in its own right. The grand entrance, the banana leaf wallpaper and the storied bungalows have made this hotel world famous and it’s definitely a must-see for anyone visiting (or living) in California. Known affectionately as The Pink Palace for its peachy pink and green colors – a trademark of the hotel – the BHH was frequented by generations of film industry stars, such as Marilyn Monroe and Elizabeth Taylor. 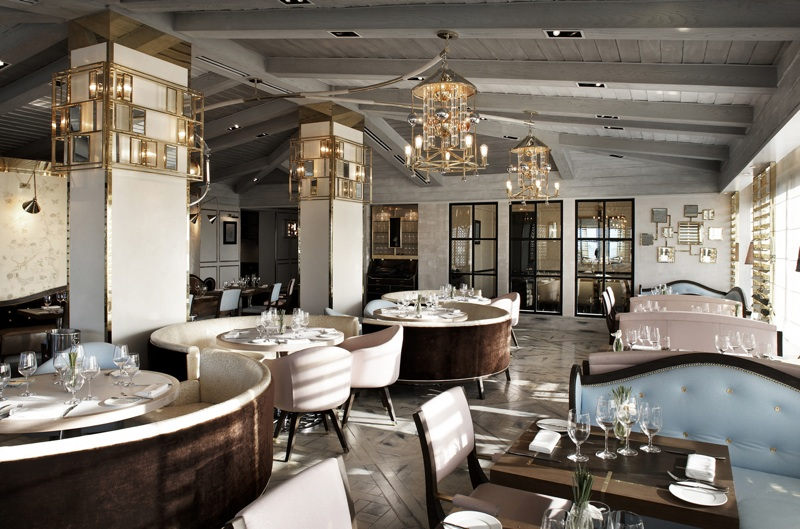 We love this place for its old school charm, the glamorous ambiance and the location – tucked away, right off of Sunset Boulevard, next to the celebrated Rodeo Drive. If you want to be near Los Angeles, but in a more serene environment, the Langham Huntington in Pasadena is your go-to. The lush green environment is dotted with cultural activities – all within walking distance – such as the Norton Simon Museum, the Pasadena Playhouse, and the Huntington Library. The Langham Huntington has been a Pasadena landmark since 1907 and continues to shine as a classic Southern California gem. We love this place for the cultivated gardens and glittering chandeliers. 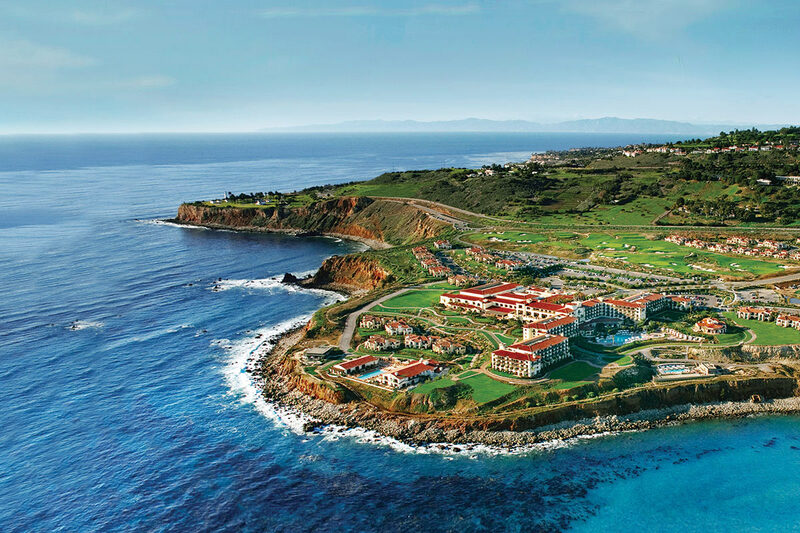 LA’s only full-service oceanfront resort, Terranea Resort, is the place to be for any beach-loving couple. Terranea Resort is located on the secluded Palos Verdes peninsula, and everywhere you look there is a view of the Pacific Ocean and Catalina Island. We love this place for its Mediterranean-style and its proximity to the beach (sign us up for whale watching). 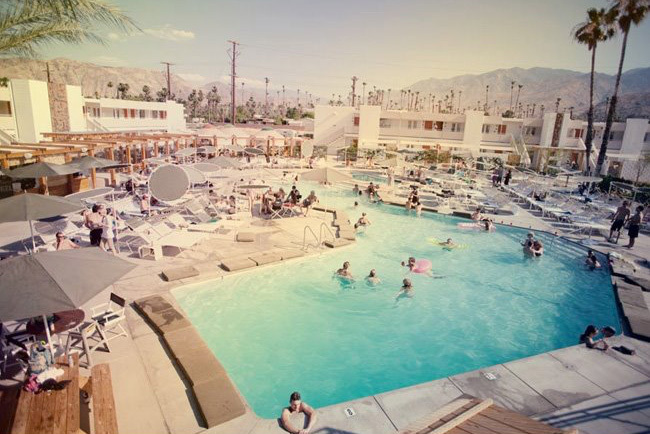 Refined and yet relaxed at the same time, Hotel Erwin in Venice Beach is one hip place to be. Just a 10-minute walk from the Venice Canals and an array of buzzy eateries and cocktail bars, it has all the makings for a fun area. The hotel’s rooftop bar is the perfect place to watch the sunset… and say your I Dos. We love this hotel for its sweeping views of the ocean and its proximity to the Venice Beach Boardwalk + the trendy area of Abbot Kinney Boulevard. The contemporary, eco-conscious Shore Hotel overlooks the beach and sits just opposite of the pier. Named one of National Geographic’s top ten beach cities in the world, Santa Monica maintains its charm of being a laid-back California beach city, with the easy-going vibes of the Pier + Third Street Promenade. We love this place for all of the attractions, the many local farmers’ markets and for its easy-going nature. Loosely fashioned after France’s Château d’Amboise, a royal retreat in the Loire Valley, Chateau Marmont is a luxurious and unique destination in Los Angeles. Hidden away just off of Sunset Boulevard, the hotel evokes old Hollywood glamour and is saturated with pop culture history. In fact, members of Led Zeppelin drove their motorcycles through the hotel lobby, and James Dean once hopped through a window to audition for Rebel Without a Cause. We love this place because it exudes European elegance, it has a bit of mystique and a definite edge to it. Situated under the shadow of the iconic Hollywood sign, the boutique W Hollywood hotel offers a trendy venue in the heart of the city. Stroll down Hollywood Boulevard and explore the TCL Chinese Theatre, the Hollywood Bowl, or even Universal Studios Hollywood. We love this place for its modern and club-like interior, and its proximity to famous landmarks in Hollywood. This post was written in collaboration with Expedia. Thanks for supporting our sponsors! 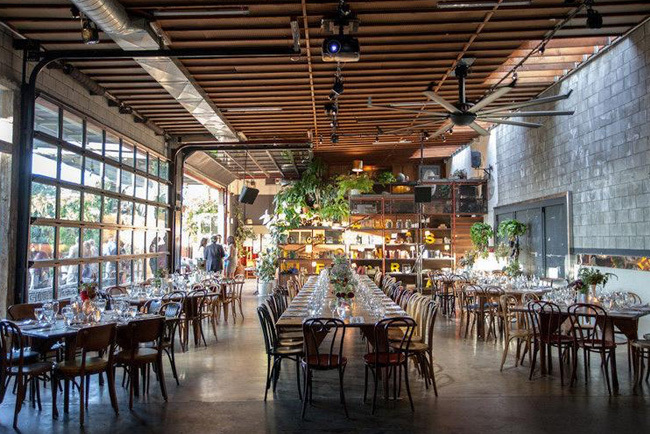 Yes, Los Angeles is the cool place to get hitched. Out of all the hotels in the list, I found Shore Hotel and The Beverly Hills Hotel, Beverly Hills more classy and romantic. 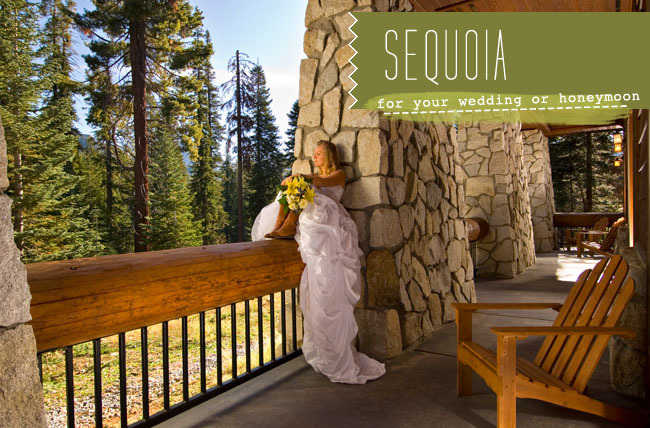 Me and my wife were also hitched in Los Angeles last year and made our wedding memorable and intimate at this lovely destination. The London is such an amazing property! Love these. Lovely, collection, will keep an eye on it! Your photos are impeccable !! Beautiful blog !! Love you! !